Earning a Nebraska drivers license should be simple. We know your goal is to get in the drivers seat as soon as possible and with as little hassle as possible—and we can help you. You've got questions, and DriversEd.com has the answers. Need information about the specifics of permits and licenses in Nebraska? Just want to know a lot more about what we can do for you? Read on! This DMV-approved drivers safety course has two parts—an online classroom portion and six hours of in-car lessons. Our drivers education class is the best approved online course in Nebraska! If you are in an area that we service, just create a free account to start your Nebraska online drivers ed. You can make a payment at anytime or try up to 20% of the online course for free. Log in and out whenever you want. When you log back in, we'll take you to the exact place you left off. Compare that to spending your weekends in a classroom! Lastly, take your final driving test with us. Our drivers safety course comes complete with a final road test administered by Road-Ready. That means no waiting to take your test at the DMV! Once you're done, Road-Ready will issue you an official Certificate of Completion. When you go into the DMV to apply for your School Permit or Provisional Operators Permit, this waives the 50 hours of supervised driving, the written test, and the DMV driving test. To earn your School Permit or Provisional Operators Permit and eventually the Nebraska Operators License, everyone regardless of age must pass a written test on traffic laws and signs. 70% of test-takers fail on their first try and end up returning to the DMV. A proven way to increase your chances of passing your learners permit written test is with up-to-date, online Nebraska DMV practice permit tests. Randomly generated questions test your driving knowledge and prepare you for the real deal. Fifty online practice permit tests come free with our online Nebraska drivers safety course. When you're ready, apply for one of the four Nebraska state driving permits at your local DMV office. School Learners Permit (LPE) – An LPE lets you practice driving in order to earn a School Permit. To apply for an LPE, you must be eligible for a School Permit. You must be between 14 to 16 years old to apply for an LPE. The LPE is valid for three months and may be renewed. LPE holders must be accompanied by a licensed driver who is at least 21 years old. Applicants must pass the vision and written tests to earn an LPE. 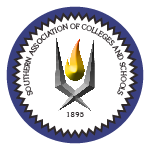 School Permit (SCP) – An SCP can be issued if you live a distance of one and a half miles or more from your school and reside either outside a city of 5,000 or more or attend a school outside a city of 5,000 or more. Before you can apply for a SCP, you must do one of the following: 1) complete a DMV-approved drivers safety course or 2) present to the drivers license examiner a 50 Hour Certification form signed by a parent, guardian or licensed driver who is at least 21 years old. Applicants must pass the written and driving tests to earn an SCP. You can waive the required written and driving tests if you complete a DMV-approved drivers safety course and receive a waiver from the course instructor. You must hold an LPE for at least two months and be between 14 years and 2 months and 16 years and 3 months before you can apply for an SCP. With an SCP, you may operate a car: 1) unsupervised between home and school (including to scheduled classes and extracurricular or school-related activities), traveling only by the most direct route, transporting only yourself or family member who resides with you; or 2) any time when accompanied by a licensed driver who is at least 21 years old. Learners Permit (LPD) – You can apply and take the written test 60 days prior to your 15th birthday. However, the LPD cannot be issued until you turn 15. LPD holders must be accompanied by a licensed driver who is at least 21 years old. You must pass the vision and written tests to earn an LPD. The LPD is valid for one year and may be renewed. Provisional Operators Permit (POP) – You can apply and take the written test 60 days prior to your 16th birthday. However, the POP cannot be issued until you turn 16. Before you can apply for a POP, you must do one of the following: 1) complete a DMV-approved drivers safety course or 2) present to the drivers license examiner a 50 Hour Certification form signed by a parent, guardian, or licensed driver who is at least 21 years old. Applicants must pass the written and driving tests to earn a POP. You can waive the required written and driving tests if you complete a DMV-approved drivers safety course and receive a waiver from the course instructor. You must hold an LPD for at least six months and not accumulate three or more points on your driving record during the six month period immediately preceding the POP application date. POP holders may drive unsupervised between 6 a.m. and midnight. When accompanied by a licensed driver who is at least 21, the POP holder may drive at any time. If you are under 18, you must either log 50 hours of supervised driving practice under the supervision of a licensed driver who is at least 21 years old or you can take a Nebraska DMV-approved drivers safety course. Waive the DMV-required 50 hours of supervised driving. Waive the written and driving test required for your School Permit or your Provisional Operators Permit. Instead the student takes these tests as part of the drivers safety course, which means less time waiting because you'll only have to take a vision test at the DMV! Learn the most up-to-date driving techniques and essential safe driving skills. Qualify for up to 10% off your auto insurance. Speak to your insurance agent for details. Gain behind-the-wheel experience with a licensed, experienced driving instructor. You can now take the Nebraska drivers education class portion conveniently online with DriversEd.com. You learn at your own pace and on your own schedule. Apply for the Nebraska drivers license at a DMV location near you. Have held a Provisional Operators Permit (POP) for at least twelve months and not accumulated three or more points on your driving record. Present proof of age and identity. See the Nebraska Drivers Manual. Have a Social Security number or valid U.S. Citizenship and Immigration Services I-94 or I-94A document (in a valid foreign passport). Present a 50-hour certification form signed by a parent, guardian or licensed driver who is at least 21. Even if you have taken an approved drivers safety course, you must still pass a vision test. However, the written and drive tests are not required if you present a waiver form signed by the drivers safety course instructor. If you are presenting a 50-hour certification form, you must pass the vision and driving tests. However, the written test will be waived if you have been issued a School Learners Permit (LPE) after January 1, 2006 or surrender a Learners Permit (LPD) that is valid or expired no more than one year. If you have not been issued a Learners Permit or if the permit has been expired for more than one year, you must pass a written test and a driving test at the DMV. If you are 18 or older applying for a first time license and you have never held a POP, you must pass the vision, written, and driving tests. Individuals surrendering a valid or expired (no more than one year prior to surrender) Nebraska Learners Permit (LPD) will have the written test waived. You can drive unsupervised in Nebraska from 6 a.m. to 12 midnight. You may only drive unsupervised between 12 midnight and 6 a.m. if driving to or from home to work or a school activity. You may drive anytime if you are accompanied by a parent, guardian or licensed driver who is at least 21. You must hold your POP for at least 12 months and have not accumulated three or more points on your driving record during the previous 12 month period, and be at least 16 years old before you can apply for your Operators Permit. During the first six months of the POP, you cannot drive more than one passenger who is not an immediate family member and who is under 19 years old. If you are 18 or older, you will be issued an Operators Permit with no restrictions. Effective January 1, 2008, the holders of LPE, SCP, LPD or POP are not allowed to use any type of interactive wireless communication device while driving a vehicle. Interactive wireless communication device means any wireless electronic communication between two or more parties, including, but not limited to, a mobile or cellular phone, a text messaging device, a personal digital assistant that sends or receives messages, an audio-video player that sends or receives messages, or a laptop computer. Who needs to take a Nebraska drivers safety course? Waive the DMV written and driving test required for your School Permit or your Provisional Operator's Permit (for ages 16-18). Instead, these tests are included as part of our drivers safety course, which means less time waiting at the DMV! Our Nebraska drivers education class is completely online and lets you go at your own pace and fits your schedule. You'll learn the most up-to-date driving techniques and essential safe driving skills. Ultimately, if you want to learn about driving in Nebraska and plan to obtain a Nebraska drivers license, this course is an excellent choice. Yes! 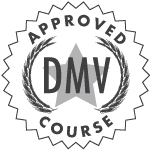 Our course is DMV-approved and is equivalent to the in-class portion of a regular drivers safety course. Can I earn an auto insurance discount with this course? By completing the DriversEd.com drivers safety course, you may qualify for up to 10% off your insurance rates. Please contact your insurance agent for details. Can I try the Nebraska course before I have to pay? Of course! You can take up to 20% of the course before you need to make a payment. How experienced are your in-car instructors? Our in-car lessons are administered at our local Nebraska location—the Road-Ready Driver Training School. As for experience, all Road-Ready instructors are knowledgeable, skilled, and 100% certified by the State of Nebraska. The instructors are always well-informed of the latest innovations in steering, braking, crash avoidance, and traffic engineering. Lastly, their active membership in the Nebraska Driver and Safety Education Association, the Nebraska Association of School Boards, and in the Driving Schools Association of the Americas ensures the highest quality of driving instruction. What's the difference between drivers ed and in-car lessons? Drivers education is a class that teaches you the rules of the road, vehicle safety, safe driving attitude, and more. In-car lessons are the in-car training sessions you get with a licensed driving instructor and helps to build skills that you'll need to successfully pass your road test and become a safe, confident driver. Our Nebraska drivers safety course includes both parts (an online drivers education class and six hours of in-car lessons). That depends on your individual pace. In Nebraska, all drivers education courses must be at least 20 hours. The good news is that with DriversEd.com, you can always go at your pace and log in and out at your convenience. Think how fast time flies if you do 20 minutes here and there! When can I start in-car lessons? Once you have completed your online course, you're ready to start your in-car lessons. To schedule your in-car lessons, just contact our Nebraska driving school location, Road-Ready Driver Training School, at 402-477-5933. How do I schedule in-car lessons? To schedule your in-car lessons, just contact our Nebraska driving school location, Road-Ready Driver Training School, at 402-477-5933. How do I access the 50 free practice permit tests? After you complete this online class and your in-car lessons, your driving instructor will issue you an official Certificate of Completion and DMV Waiver. When you go into the DMV to apply for your School Permit or Provisional Operators Permit, this Waiver stands in place of the 50 hours of supervised driving, the written test, and the DMV driving test. Our online Nebraska drivers education class is $99 and the six hours of personal in-car lessons with Road Ready Driving School (402-477-5933) is $260. You may pay separately for each portion or as a package. If you're in our area of service, we recommend taking drivers education and in-car lessons together. If you take in-car lessons with another driving school, we cannot guarantee your Certificate of Completion will be recognized, or that your supervised driving time and tests will be waived. With our drivers safety course, you'll get everything you need to become a safe, confident driver to earn either your School Permit or Provisional Operators Permit! The DriversEd.com course fee covers your online Nebraska drivers education course, a DMV-recognized Certificate of Completion to waive your 50 hours of supervised driving, and six hours of in-car lessons with a licensed driving instructor. Our online Nebraska course teaches you the most up-to-date driving techniques and includes fun, interactive lessons, which increase your ability to retain essential safe-driving rules. During your in-car lessons, certified instructors with over 40 years of experience will teach you basic maneuvers, how to manage driving risk, and everything you need to learn to drive safely and confidently. Once you complete the drivers education class, you also get unlimited access to the online course material, so you can review the course for as long as you need! It is important to us that you are satisfied with your purchase. If you change your mind about the course, we'll refund the full cost of the course purchased on our website within thirty (30) days of purchase provided that less than 50% of the course has been completed. No refunds will be issued if more than 50% of the course has been completed. Any refund requests made thirty (30) days past the purchase date are limited to UNUSED lessons and must be requested from Road Ready Driver Training School.